Castorseed prices rose by 1.26 per cent on Friday at the National Commodity & Derivatives Exchange Limited (NCDEX) as a result of the rise in demand from consuming industries against restricted arrivals in domestic markets which in turn encouraged the investors to enlarge their holdings. 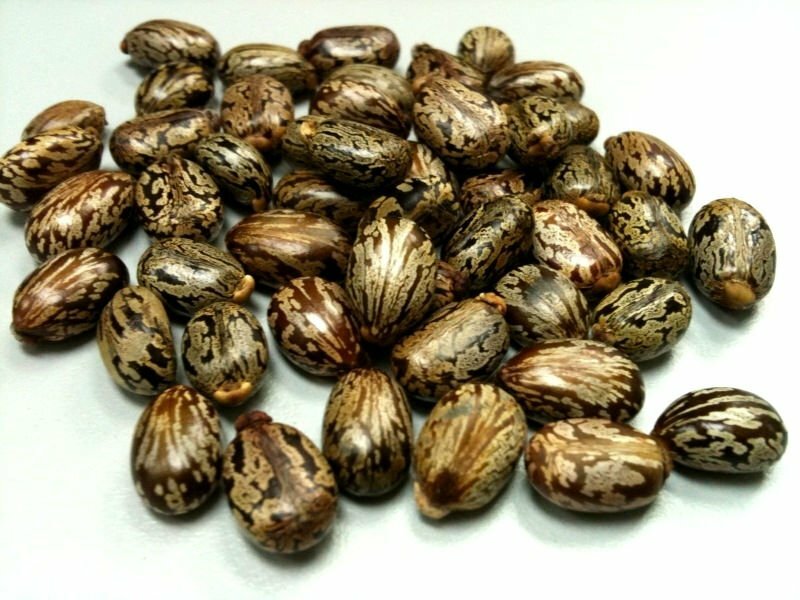 At the NCDEX, castor seed futures for January 2016 contract were trading at Rs. 3,465 per quintal tonnes, up by 1.26 per cent, after opening at Rs. 3,445 against the previous closing price of Rs. 3,422. It touched the intra-day high of Rs. 3,465 till the trading. (At 12.35 PM today). Castor is a non-edible oilseed crop; basically a cash crop, with average 46 per cent oil recovery. Chana settled down by -0.82% at 4360 on hopes of rise in arrival of new crop in the coming days coupled with pressure of imported crop. Reports subdued demand at higher prices as the standing chana crop is developing well in Rajasthan and MP also weighed. As per data release by Agriculture Ministry, Chana planted 81.08 lakh tonnes (lt) so far, compared with 79.95 lt last year. Chana trading range for the day is 4304-4458. 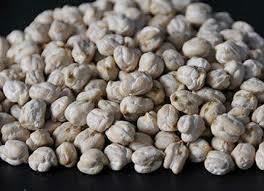 Chana prices dropped on hopes of rise in arrival of new crop in the coming days coupled with pressure of imported crop. Reports subdued demand at higher prices as the standing chana crop is developing well in Rajasthan and MP also weighed. As per data release by Agriculture Ministry, Chana planted 81.08 lakh tonnes (lt) so far, compared with 79.95 lt last year. Mentha oil settled up by 1.45% at 881.7 supported by firming trend at the spot markets on pick-up in demand from consuming industries. Further, restricted arrivals from major producing belts of Chandausi in Uttar Pradesh, too fuelled the uptrend. Reports of lower quality arrivals leading to lack of export demand too kept trend sideways. Traders said that the day-to-day consumption of menthol declined from 200 drums to 100-120 drums in present term. At Rampur market sources reported arrivals at 5 Drums(1-drum=180kg), steady as against previous day’s arrival. Menthaoil trading range for the day is 858.2-895.2. Mentha oil spot at Sambhal closed at 1024.40 per 1kg. Spot prices is up by Rs.1.50/-. Mentha oil prices ended with gains supported by firming trend at the spot markets on pick-up in demand from consuming industries. Further, restricted arrivals from major producing belts of Chandausi in Uttar Pradesh, too fuelled the uptrend. The day-to-day consumption of menthol declined from 200 drums to 100-120 drums in present term. Gold lost more ground on Friday, falling for five out of six sessions as a rebound in oil and equity markets reduced the precious metal's safe haven appeal. Gold has dropped 2.5 percent this week, its biggest weekly decline since early November. 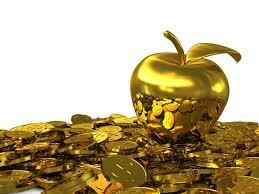 * Spot gold slid 0.1 percent to USD 1,076.88 an ounce by 0007 GMT while US gold futures gained 0.3 percent to USD 1,076.8. *A bounce in global stock markets and oil prices added pressure on precious metals. * The metal hit two-month highs at USD 1,112 last week as volatility in Chinese stocks battered appetite for risk, but trading has since fallen as expectations of further US interest rate increases lowers demand for the non-interest-paying asset. * The Fed raised rates in December and attention has shifted to how many hikes will follow in 2016. US crude oil futures fell in early Asian trade, heading lower after posting the first significant gains for 2016 in the previous session, as the prospect of additional Iranian supply looms over the market. 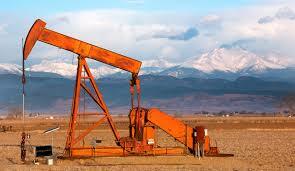 West Texas Intermediate (WTI) was down 33 cents at USD 30.87 a barrel at 0103 GMT (2003 EDT). On Thursday the contract rose 72 cents, or 2.4 percent, to settle at USD 31.20. It hit a 12-year low of USD 29.93 earlier this week. WTI is on track to post a third consecutive weekly loss, down more than 6 percent. The contract is down nearly 18 percent from a 2016 high on January 4. Brent crude was yet to trade. MarketMagnify offers several services in the form of packages specifically designed for all types of traders. Like for MCX package, you can go for MCX Package only. In this pack we provide intraday trading recommendation in Base metal, Energy and Precious metals.We provide MCX Tips, MCX TRADING TIPS also. Ref.Soyaoilsettled up by 1.27% at 601.4 tracking firmness in spot demand and other oilseed counters amid short covering. India soybean oil imports two fold high in November after local demand of edible oils rose due to lack of domestic crushing, data release from the Solvent Extractors Association (SEA) of India showed. India's soyoil imports surged to 216,836 tons in November compared to 121,097 tons for the same period a year ago, data released by the SEA of India showed. According to Brazil trade ministry, Brazil exported 0.73 MMT of soybean in December 2015 v/s 1.44 MMT exported in November 2015, down 97 percent m-o-m. Exports rose 421 percent compared to December 2014 when the exports were 0.14 MMT. Ref.Soya oil trading range for the day is 589-609. Ref soyoil prices ended with gains tracking firmness in spot demand and other oilseed counters amid short covering. India's soyoil imports surged to 216,836 tons in November compared to 121,097 tons for the same period a year ago. India soybean oil imports two fold high in November after local demand of edible oils rose due to lack of domestic crushing. At the Indore spot market in Madhya Pradesh, soyoil was steady at 606.7 rupees per 10 kgs. Turmeric settled up by 0.73% at 9896 due to good upcountry demand at the spot market. New turmeric is expected to arrive in market in February end. There is concern over production due to heavy rains during Nov-Dec in south India but the prices may remain little lower as trader may wait for new season crop in next one month. Deficient rainfall in during early part of sowing in major Turmeric growing regions of Maharashtra and Karnataka may reduce the yield. As per dept of commerce data, turmeric exports till September, 2015 pegged at 50,916 tonnes while the export for the 2014-15 is 90,738 tonnes compared to 78,360 tonnes in FY14. As on latest sowing data, turmeric sowing In AP, is recorded at 15,864 hectares increase over last years’ acreage as well normal sowing area progress however in Telangana, the sowing area is lower than the normal sowing area at 40,823 hac compared to 43,470 hac last year. Turmeric trading range for the day is 9770-10062. Turmeric prices gained due to good upcountry demand at the spot market. New turmeric is expected to arrive in market in February end. Sources also stated that around 27-28 lakh bags of total stocks have been reported in local mandies. In Nizamabad, a major spot market in AP, the price ended at 9525 rupees gained 2.3 rupees. Crude oil fell in Asian trade on Thursday, with Brent marking another 12-year low amid gloom over a world awash with supply and concerns about global economic growth hitting equity markets. Brent dropped as far as USD 29.73, the lowest since February 2004 and down more than 1.5 percent. It was down 47 cents at USD 29.84 a barrel at 0145 GMT and the contract has fallen every trading this year. West Texas Intermediate (WTI) CLc1 erased earlier gains and was down 12 cents at USD 30.36 a barrel. It settled at USD 30.48 on Wednesday, up 4 cents, the contract's first gain in 2016. It was the second time in two days for Brent, the global benchmark, to drop below USD 30 a barrel after WTI fell below that mark on Tuesday, before recouping some of the losses. "Perhaps USD 30 or just slightly below is acting as a little bit of a floor, but that being said that's a straw in a hay barn in terms of positivity," said Ben le Brun, market analyst at OptionsXpress in Sydney. "The rest of the news is decidedly negative about oil," he said. Gold turned higher on Wednesday as the dollar fell, US stocks dropped and a Federal Reserve president raised concerns about inflation expectations. US stocks sold off sharply and a brief rally in beaten-down oil prices stalled after US data added to concerns about an over supplied energy market. Spot gold was up 0.6 percent at USD 1,093.25 an ounce at 3:40 p.m. EST (2040 GMT), while US gold futures GCcv1 settled up 0.2 percent at USD 1,087.10. "The downturn in equities helped push prices up in the latter part of trade," said James Steel, chief metals analyst for HSBC Securities in New York. Also late in the session, Chicago Federal Reserve Bank President Charles Evans said he was nervous about the potential effects of China's slowdown on the US economy and about the possibility that inflation expectations may be slipping. Crude palm Oil settled up by 0.48% at 416.9 due to pickup in demand in the spot market. Further, limited arrivals from producing belts too supported prices. 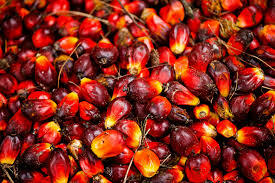 According to latest data released by SEA, country has set a new record for highest import of palm products in Oil year 2014-15, which has created a glut in domestic market. Import of palm products during October 2015 is the highest in any single month at 1.11 mt. Exports too declining on concern over China’s slowing economy. December's palm exports from Malaysia, the world's second-biggest producer of palm oil by volume, fell 5%- 6% compared to the month before. Malaysian palm oil futures bounce back on Friday due to forecast of declining production. As per the reuters poll, Output is likely to have dropped to 1.36 million tonnes, down 17.8pc from November and the lowest since February 2015, a Reuters poll showed. However, concern over weak export demand and a narrowing spread between the tropical oil and soyoil capped further gain. CPO trading range for the day is 408.7-422.5. Crude palm oil prices ended with gains due to pickup in demand in the spot market. According to latest data released by SEA, country has set a new record for highest import of palm products in Oil year 2014-15, which has created a glut. Crude palm oil prices in spot market dropped by 2.30 rupees and settled at 405.50 rupees. Jeera settled up by 0.11% at 13975 on short covering after prices dropped due to higher sowing following favourable weather in the producing belts. However, anticipation of growing demand amid declining stocks with the stockists limited the downside. Gujarat, the top cumin producing state, has planted more cumin until Jan 05, 2016 compared to last year sowing progress. In Gujarat, jeera is planted about 7% more area at 2,83,000 hectares compared to 2,64,400 hectares last year same time. As per data, arrivals of Jeera in Gujarat markets for the calendar year 2015 till Oct is lower by 217 per cent at about 1.23 lt compared to 3.9 lt last year. According to Dept of Commerce data, the export of jeera during first 6 month of 2015-16 (Apr-Sep) is 44,140 tonnes, which is, lower as compared to last year same period. Jeera (cumin) exports have been 1.55 lt in 2014-15. According to govt data, exports for 2015-16 shows a decline trend compared to last year until September. Jeera trading range for the day is 13705-14225. Jeera settled up on short covering after prices dropped due to higher sowing following favourable weather in the producing belts. However, anticipation of growing demand amid declining stocks with the stockists too supported prices. NCDEX accredited warehouses jeera stocks dropped by 99 tonnes to 2023 tonnes. In Unjha, a key spot market in Gujarat, jeera edged down by -94.65 rupees to end at 14693.35 rupee per 100 kg. Gold fell for a third straight session on Tuesday as a rebound in European and U.S. stock markets undermined the metal's appeal as a haven from risk, and as the dollar strengthened against a basket of currencies. Spot gold was down 0.3 percent at $1,090.30 an ounce at 2:39 p.m. EST (1939 GMT), while U.S. gold futures for February delivery settled down 1 percent at $1,085.20 an ounce. The metal pared losses as U.S. and European shares came off their highs when depressed oil prices failed to sustain a rally, while the U.S. dollar rose for the third straight session. The rise in stocks suggested risk appetite is recovering after last week's rout. "(We're) looking for gold to perhaps get down to the $1,055-1,060 level as we expect a bounce in the equity markets to continue on account of earnings that likely will be no worse than estimates, stabilizing macro readings from a number of countries, including China ... and a possible jump in oil," said INTL FCStone analyst Edward Meir. The metal's early January rise ran out of steam late last week after prices hit resistance at their 100-day moving average. Gains have been capped by concerns over higher U.S. interest rates. Since the U.S. Federal Reserve raised rates in December, attention has shifted to how many hikes will follow in 2016. Crude futures rose on Wednesday for the first time in eight days, with US oil pulling further away from the widely watched USD 30-per-barrel level breached the previous session, after US crude stocks unexpectedly fell last week. 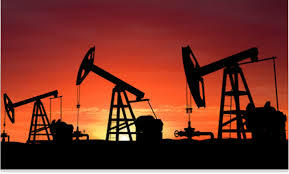 US West Texas Intermediate crude (WTI) was up 44 cents at USD 30.88 a barrel at 0144 GMT. On Tuesday, it fell 97 cents to close at USD 30.44 a barrel, after touching a low of USD 29.93, which was last seen in December 2003. Brent crude, the global benchmark, was up 34 cents at USD 31.20 a barrel. The contract fell 69 cents to settle at USD 30.86, after bottoming at USD 30.34, on Tuesday. The USD 30 mark is both a psychological and financial threshold and, in recent days, traders have poured money into USD 30 put options for expiration in February and March. Spot gold edged higher on Tuesday, snapping two sessions of decline, as concerns over China's economic growth and pressure on stock markets lifted the precious metal. 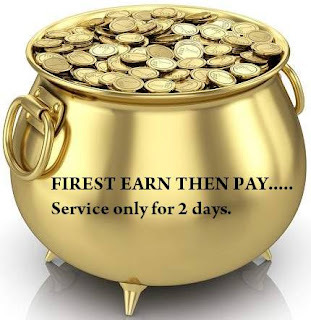 * Spot gold firmed 0.2 percent to $1,095.6 an ounce by 0037 GMT, while U.S. gold futures eased 0.1 percent to $1,095.2. * China's main stock indexes each dropped more than 5 percent on Monday. Oil prices fell to new 12-year lows, as concerns over China hurt commodity prices broadly. * Right from the beginning of 2016, markets have been rocked by plunges in Chinese stocks, the yuan's fall and subsequent heavy intervention by the Chinese authorities. * The chaotic moves have led to worries China's economy may be in for tough time rather than stabilising as some had hoped. 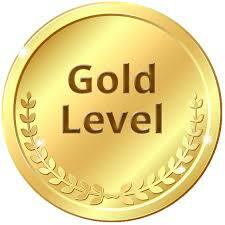 * China is the world's biggest consumer of gold at around 1,000 tonnes a year. * The yellow metal is often seen as an alternative investment during times of financial uncertainty, although safe-haven rallies tend to be short-lived. 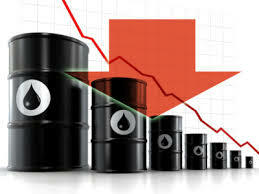 US crude prices continued a relentless dive early on Tuesday approaching a 20 percent drop since the beginning of the year as analysts scrambled to cut their 2016 oil price forecasts and traders bet on further price falls. US crude West Texas Intermediate (WTI) CLc1 were trading at USD 31.34 per barrel at 0805 GMT on Tuesday, down 7 cents from their last settlement and almost 19 percent lower than at the beginning of the year. WTI has shed over 70 percent in value since the downturn began in mid-2014. Trading data showed that managed short positions in WTI crude contracts, which would profit from a further fall in prices, are at a record high, implying that many traders expect further falls. Menthaoil settled up 0.68% at 886.7 supported by improved demand from consuming industries in the spot market. Further, tight stocks position on restricted supplies from Chandausi in Uttar Pradesh, too supported the upside. Global demand too is expected to rise at these lower levels in coming weeks. The undertone was mixed in the physical markets as participants were unable to receive adequate inputs for price discovery. As per market sources, the overall production is still 70% lower from the previous year of 50,000 tons. Traders had estimated earlier that the total production in the range of 35000-37000 tons for this year, and currently it appears that the average estimate might be reduced to 30000 tons. In fact, huge carryover stocks from the previous year coupled with huge capacity built up of synthetic mint, a substitute of mentha oil, also discouraged farmers to bring less area under mentha plant this year. Menthaoil trading range for the day is 877-893.4. Mentha oil spot at Sambhal closed at 1033.30 per 1kg. Spot prices is remain unchangeby Rs.0.00/-. 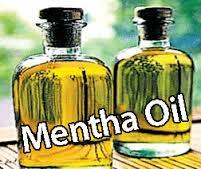 Mentha oil prices gained supported by improved demand from consuming industries in the spot market. Further, tight stocks position on restricted supplies from Chandausi in Uttar Pradesh, too supported the upside. Global demand too is expected to rise at these lower levels in coming weeks. Natural gas prices jumped to an 11-week high on Friday, as updated weather forecasting models pointed to freezing temperatures in the U.S. east coast until the end of the month. Bullish speculators are betting on the cool winter weather to increase demand for the heating fuel. The heating season from November through March is the peak demand period for U.S. gas consumption. On the New York Mercantile Exchange, natural gas for delivery in February surged 9.0 cents, or 3.78%, to close the week at $2.472 per million British thermal units. It earlier rose to $2.495, the most since October 20. On Thursday, natural gas rallied 11.5 cents, or 5.07%, after weekly inventory data showed that stockpiles fell more than expected last week. The U.S. Energy Information Administration said in its weekly report that natural gas storage in the U.S. fell by 113 billion cubic feet, more than expectations for a decline of 99 billion. That compared with a drawdown of 58 billion cubic feet in the prior week, 116 billion cubic feet in the same week last year, while the five-year average change for the week is a drawdown of 129 billion cubic feet. 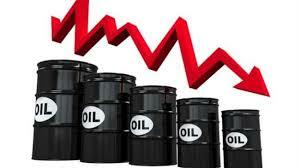 US crude oil prices were down more than 2 percent in early trading on Monday as traders increasingly lose faith in a significant market recovery soon and bet on even lower prices. US crude West Texas Intermediate (WTI) CLc1 dropped more than 2 percent in early Monday trading to a low of 32.43 per barrel before edging back to USD 32.51 by 0038 GMT (07:38 p.m. EST), still down 65 cents. Global benchmark Brent LCOc1 was down 59 cents, also almost 2 percent, to USD 32.96 per barrel. Monday's falls add to an over 10 percent price drop in the first trading week of the year and when Goldman Sachs said oil could hit USD 20, and would see sustained low prices through the first quarter "so producers will move budgets down to reflect USD 40 a barrel oil for 2016." In a sign that traders are losing faith in a price rise anytime soon, big speculators have cut their net long positions to fewer than 50,000 contracts or 50 million barrels in the week to last Tuesday, a weekly report from a US government agency that tracks commodity markets activity showed on Friday.